Dublin Castle dates back to the British rule in Ireland and the luxurious State Apartments that you see inside were originally home to the British appointed Viceroys. The castle has a fascinating history and over the years it has evolved and expanded to accommodate the needs of the time. The two highlights inside for us were the beautiful Throne Room, decorated in gold and St Patrick’s Hall which is the castle’s largest function room. Some parts of the castle, like the circular Record Tower, are very old dating back to 1226! 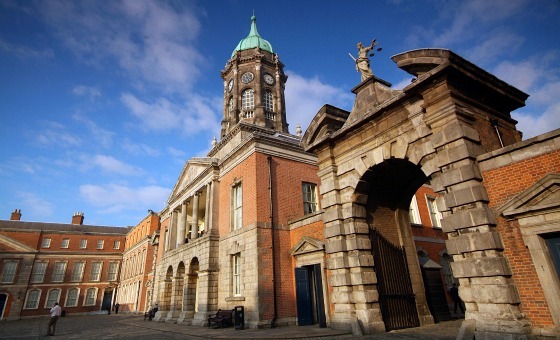 The site of Dublin Castle covers around 11 acres all together including Dublin Gardens, the Treasury Building, the historic Bedford Tower, the Army Barracks, 2 cafes and 2 museums. There is also the Chapel Royal, a lovely pace of worship with high vaulted ceilings and the Chester Beatty Library which houses artistic treasures like manuscripts and paintings. 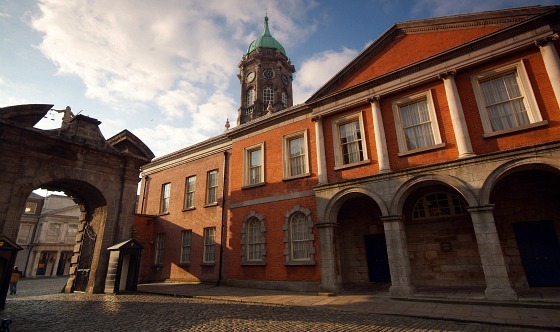 Dublin Castle is open to the public Monday to Saturday 9.45am to 4.45pm and Sunday 12pm to 4.45pm. Access to the State Apartments and Medieval Under croft is by guided tour only. Adult guided tours cost 8.50 Euros although there is a self guided tour option for 6.50 Euros (2016 prices). The Garda Police Museum is also located at the castle and admission to this is free of charge. Dublin Castle is situated in the very heart of Dublin City, on the south side of the River Liffey, off Dame Street, en route from Trinity College to Christchurch Cathedral. 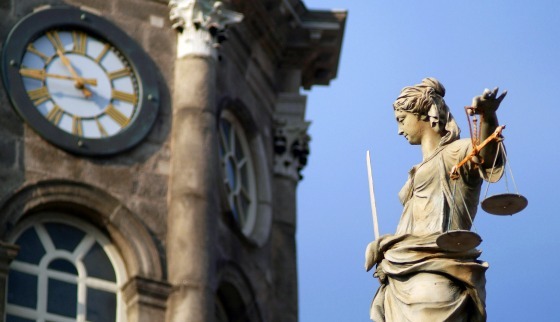 The Dublin Hop-on, Hop-off Bus Tour stops near Dublin Castle too.